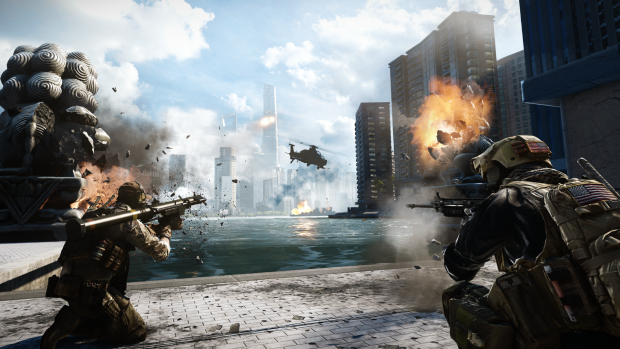 Electronic Arts and DICE are continuing their push to stabilize their latest first person shooter “Battlefield 4″ today as they have unveiled a brand new update that will roll out “at the end of January/beginning of February.” Since its release, Battlefield has been plagued by numerous issues, including some that players have deemed “game breaking.” In response to this, EA has stated that they will not move on to new projects until Battlefield 4’s issues are resolved. We are looking to improve a number of items to further enhance the overall multiplayer experience. We will share more details on this in February. In the meantime, thanks for your feedback on items that you have helped us identify. These fixes will be a welcome addition to all that are still playing the massively popular shooter, and you can learn more by heading over to the Battlefield 4: Control Room.